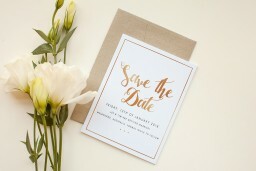 This save the date card is from the wedding invitation set, 'Spring', by designer Haley. 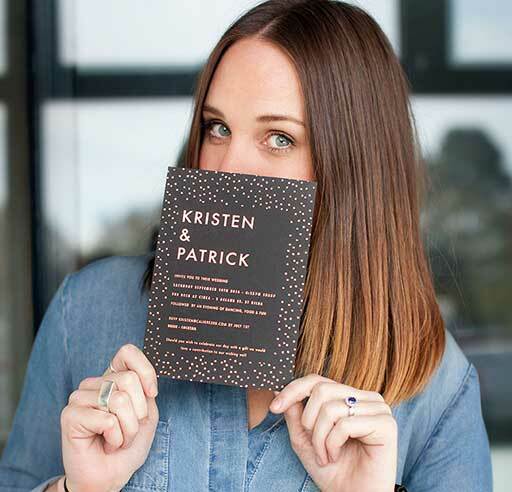 These invitations are a must for any spring wedding. The burst of pink and orange give this set a lush look that's highlighted by the gold text. This print is available in digital and metallic. Also available in blue or monochrome. 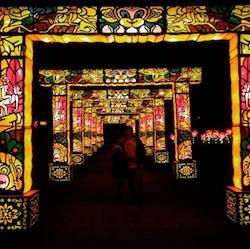 I always appreciated designers who knew how to create something beautiful, without using too many colors and patterns. 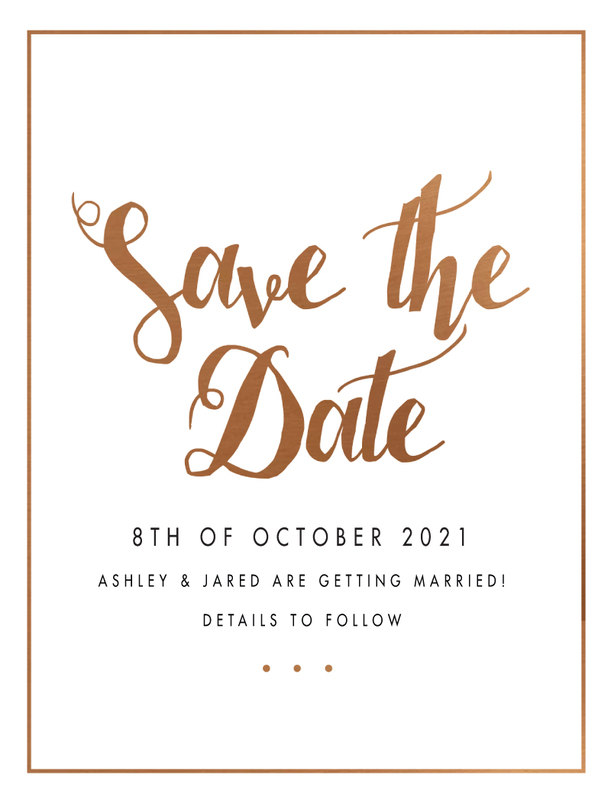 Thus this save the date card is one of the most beautiful that I’ve seen lately, as it is a simple card, with bold background, which is embellished with sophisticated written fonts written in gold color. Besides, the golden framing is a wonderful complement to the simplicity of this card.